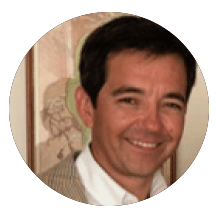 Mirko Yakasovic is a well known producer of table grapes in the Valparaíso region, Chile. 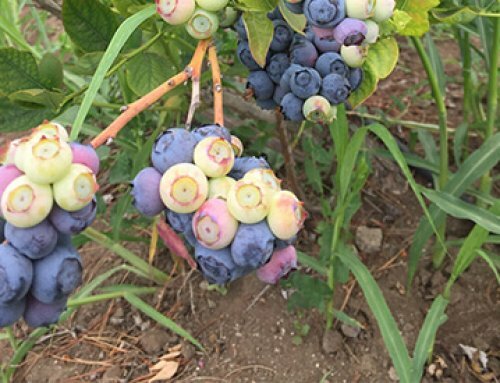 Mr. Yakasovic has more than 20 years of experience as a table grape grower, every year he estimates a production loss of minimal 10% caused by bird damage. 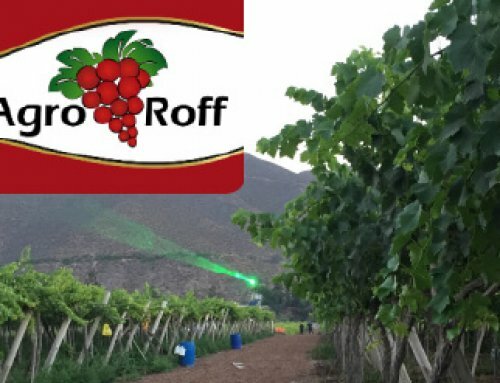 In the recent season (December 2017 – April 2018) he decided to cover all of his 95 hectares of table grapes with the automated laser bird repellent for deterring birds away from the fields. 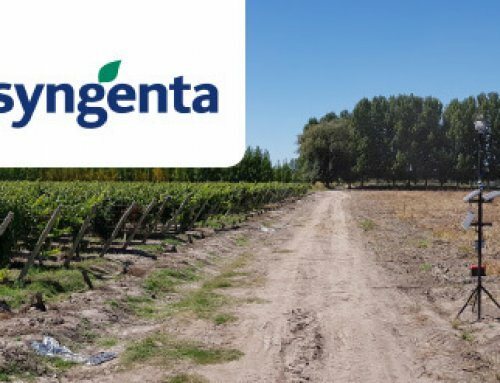 “The amount of bird presence is very dependent on environmental circumstances and the amount of food available, for instance in dry seasons there is less food available for the birds in the hills so they come down to the vines for the table grapes. 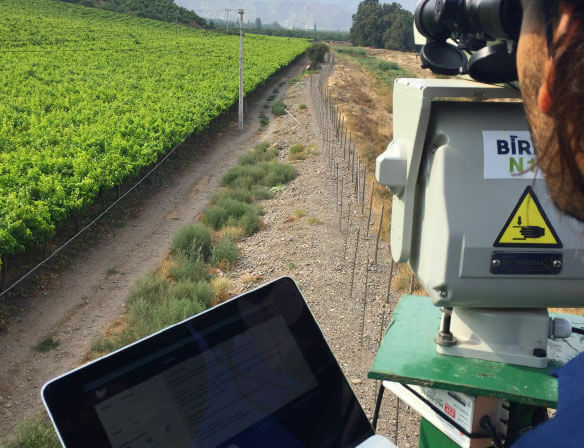 “We saw that the damage increased in the recent years, we know that the reason for this increase is that we have taken more and more of the bird’s habitat causing them to have less food, pushing them to eat our table grapes.” Mirko says. 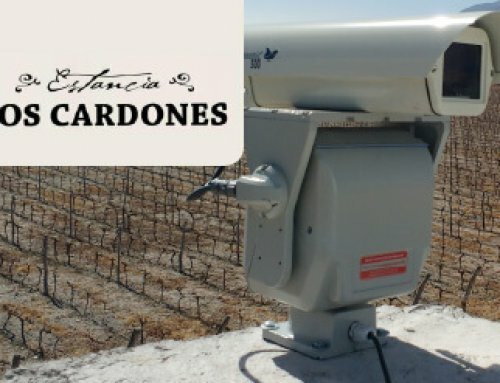 The 6 Autonomics were installed for deterring bird from Mirko Yakasovic’s 76 hectares of three grape fields. 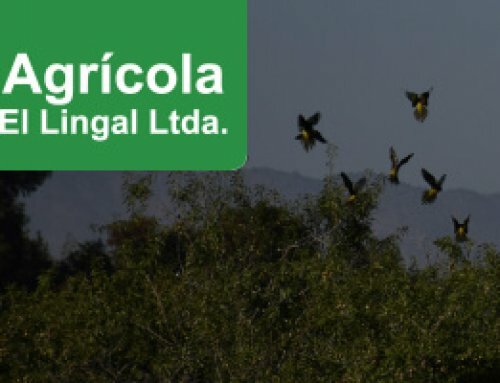 Mirko is happy with the results: “At the beginning I had doubts whether the birds would get used to it or not, I have over 20 years of experience as a grape producer and tried everything you could imagine for deterring birds from my fields. Birds got used to the most methods I previously used. Mirko Yakasovic also has a few bird controllers who are there 5 days a week for deterring birds, but man labour wasn’t the right solution. “We just need something that works automatically 24 hours a day, 7 days a week.” – Mirko says. Last year, before the Autonomics’ installations Mirko Yakasovic had a lot of damage in general. This year he had very little damage, especially in the areas closest to the bird controllers. The effect of the laser was less noticeable on the opposite side of the laser.For that reason Mirko decided to install another Autonomic for deterring birds. Propane canons When propane canons were used last time, neighbors called the police due to the annoying noise.